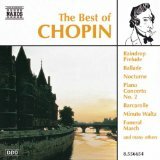 Frederic Chopin's music is world-famous for its delicate gracefulness and captivating moods. Pretty much all of the music Chopin wrote is for solo piano, so that's what we'll have a look at here. First of all, his playing style was light, delicate, and had a flexibility to it which created lots of different layers of emotion. These qualities are all shared by the music he wrote. Chopin was (apparently) a lot more suited to playing in the drawing room or other intimate settings rather than the concert hall. This makes sense, since I think a lot of his pieces have much more power when they're performed in a cozy setting. The melodies in his pieces are either reflective and touching, or exciting and grand. The harmonies create subtle shades of color, and give the music a fragile feeling. Even though some of his pieces (most of his Etudes really) have programmatic titles (i.e. telling a story or depicting something), Chopin himself never added titles himself. He didn't like the idea. Still, publishers added them without his approval! Click to read about Chopin's stunning etudes. 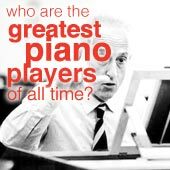 Each one tests a different skill for the pianist. 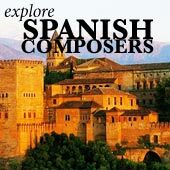 Chopin music is also important because it benefits a lot from a rhythmic technique called rubato (which Chopin apparently used a lot when he played). This is basically slowing up or speeding down the melody according to the flow of the piece. The nocturnes in particular sound really great with rubato! 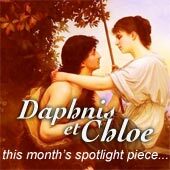 Click to read about Chopin's dreamy, slightly melancholy nocturnes. But the slowing ups and speeding downs always balance out, so in the end the piece is no longer or shorter than if you were to play it without any rubato. Each performer plays it differently. Personally, I prefer very light rubato for most of a piece, but very heavy rubato when it comes to climaxes or tension-filled moments. Frederic Chopin also used characteristic chromaticism (Greek for "colored", means using notes not part of the current scale) to create thoughtful and inky moods. He puts these little chromatic runs all over the place. They're tricky to play, but very fun! "Black Key" Etude, Op. 10 No. 5. A lively study piece which has the gimmick of the right hand playing almost entirely on the black keys of the piano. "Revolutionary" Etude, Op. 10 No. 12: A stormy piece with a famously dramatic part for the left hand to play. "Butterfly" Etude, Op. 25, No. 9. A short, charming piece, popular because of its happy melody an fluttering grace. "Winter Wind" Etude, Op. 25, No. 11: an intense study, this one has a staggeringly violent right hand section which sounds like harsh wind. Funeral March (from the slow movement of Sonata No. 2). World-famous as a mournful, powerful funeral march. It was played at Chopin's own funeral. "Heroic" Polonaise in A flat Major, Op. 53. A fast and rousing piece, which shows Chopin in a rare triumphant mode. He composed it with the idea of it being a Polish nationalist piece. Click to read about Chopin's powerful, endearingly patriotic Polonaises. Bercuese (lullaby), Op. 57. A quiet, delicate lullaby, with a repeated melody in the bass and a kind of freely improvising right hand. It's very pleasant to fall asleep to! "Minute" Waltz, Op. 64 No. 1. Chopin composed this for a Polish countess. A lot of people think this means minute as in 60 seconds, and that the piece is supposed to last that long. It actually lasts almost two minutes, and the "minute" in the title is in the sense of "small". Click to listen to and learn about Chopin's delightful waltzes. Interested in learning more about Chopin? Read a biography here.